PMO professionals working at companies across the German-speaking world. Their responses led to a series of recommendations on how PMOs can maximize their success rate. A well planned and implemented project management office is instrumental to the success of transformation programs. The survey showed that not even one in twenty PMO-led projects achieves its targets in full. More than 40 percent of programs even fail to achieve over half of their targets. Responses indicated a wide range of reasons why this is so. The spectrum ranges from the project being accorded insufficient priority by top management to the wrong mix of people being staffed on the PMO team and the wrong IT tools being used to the PMO supporting the project for too short a period. With these five golden rules in mind, companies can put a structured process in place that dramatically boosts the PMO's potential. This gives them a powerful tool to effectively steer corporate transformation programs and actually achieve the targets that have been set. Planning for a PMO should begin early. Also, the PMO needs to be tailored to suit the transformation program. The company must align the focus of the PMO along three dimensions: the scope of the program, the urgency and the level of organizational complexity. 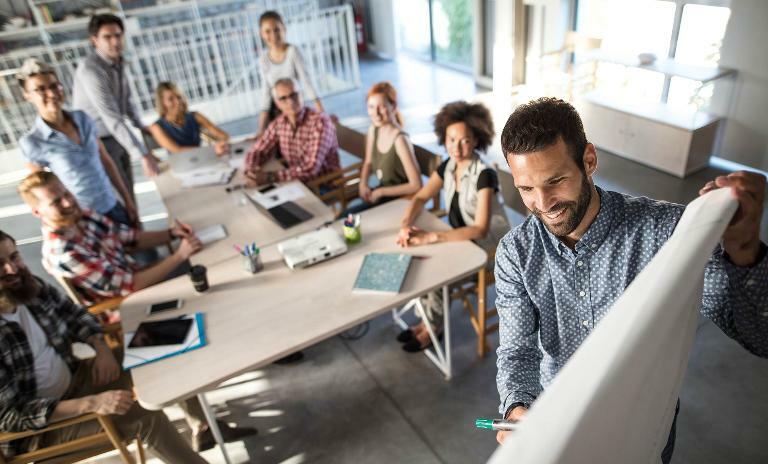 PMO teams made up of both internal and external members have a higher success rate; the most success is achieved when the external support is between 50 and 75 percent. It is also essential to balance the seniority in the PMO and the industry or functional expertise present among staff in the team, as well as talent in key areas. The role of the PMO is not just to define actions but to support their implementation. Conceptual ideas need to be translated into detailed individual actions with clearly assigned responsibilities and firm deadlines. And it's important not to wind down or terminate the PMO's involvement too soon. A clear leadership structure is also essential, with adequate management attention. For implementation to be successful, the PMO must follow certain rules throughout the process. Ideally, in the setup phase the company should define five quality gates for tracking measures, each with clear criteria for reaching the next stage: action identified, action effect validated, action description detailed, action implemented and action realization confirmed. To track the implementation of actions, the PMO requires an effective IT tool. If selected carefully in line with the specific requirements of the program, this tool can provide structure and foster discipline – a vital role in cases where the program stretches across different functions, locations and even countries. The tool must be tailored to the scope of the program and potentially integrated with the reporting and controlling landscape. 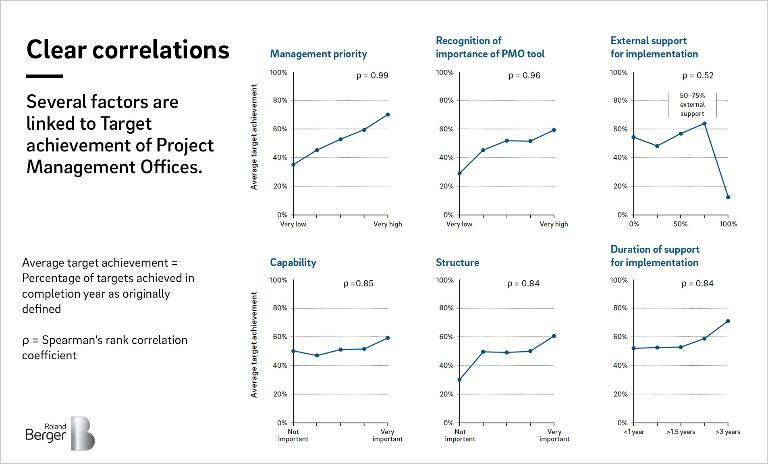 Project management offices are the key success factor in corporate transformation programs. But all too often, the success of PMOs is impacted by poor planning and a lack of resources. 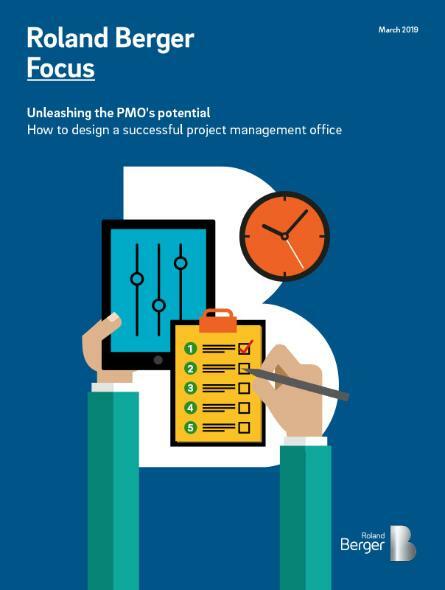 We show how companies can set up the optimal PMO for their transformation program.